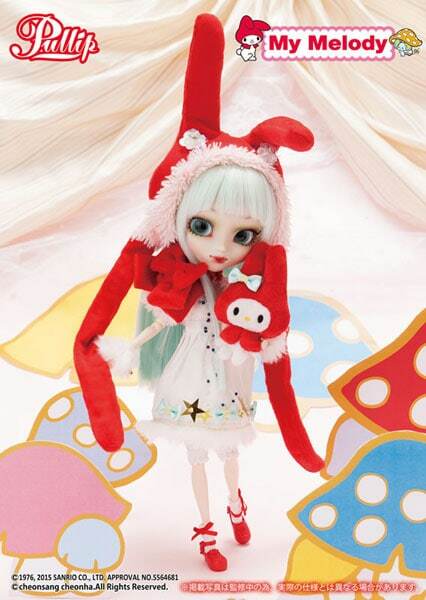 Groove Inc., Sanrio and mitsubachi@BabyBee have teamed up to bring you the latest My Melody inspired doll! 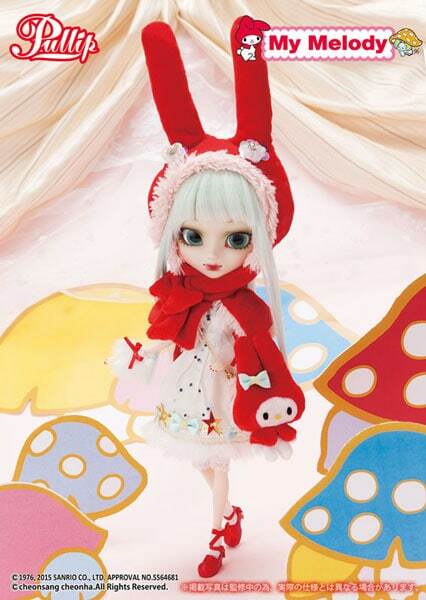 January 2016 prepare to meet Pullip My Melody x HEN-NAKO doll. Read Dolly Insider’s Exclusive Interview with Mitsubachi @BabyBee (Honey bee) Click The Image Below! If you are a frequent reader of the Dolly Insider you may remember that we first reported the Pullip My Melody doll August 2015, Is Another Pullip Sanrio Collaboration In The Works? When will Groove release this doll? What's going on with her eyes? What's up with her lips? However questions still remain concerning her unique features. This is the 2nd My Melody doll that Groove has licensed and created. You may remember their first My Melody doll back in 2008.
Who do you think is better 2008 or 2016 Pullip My Melody? You're love for her may help those fans who are on the fence to decide whether they should get her or not. And if you have plans to skip this version of My Melody we'd love to hear your reasoning for passing over this 2016 doll. Don't be afraid to share your opinion. Your point-a-view may help others save $$ for the next announced Pullip doll. And if you simply want to rant about this doll you can do that too in the box below. We love a good rant, whether it’s a pro rant or con rant! It’s awesome that you discovered her today. I think she’ll make a great birthday gift. 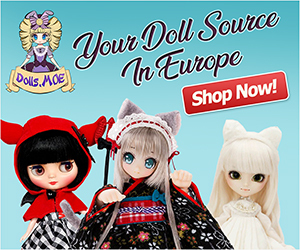 If you would like to stay up to date on doll news you can sign-up to our Dolly Round-up Newsletter here. This doll has striking features, but the face, the outfit, and the character are not melding together well. Her outfit is lacking. She doesn’t really feel like she matches the cuteness that is My Melody. Her face is better suited for a different theme, maybe something dark but playful. It’s just an odd combination. Fans are use to viewing an innocent My Melody so of course it would be hard to take in this moody girl. I think it would’ve been awesome on Groove’s part to release 2 version of My Melody! 2 This release which is a dark interpretation of the sweet iconic My Melody. This way fans could own a traditional Melody and also embrace the darker half My Melody. It would be the best of both worlds! Glad my comment went through. It kind of disappeared after I submitted it! What I’d really like to see is more original designs from Groove in 2016 and less collaborations. They’re nice as a every so often doll and makes them feel extra special but the number of collaboration dolls vs original Groove dolls this year has been quite staggering. What has there been? Only a small handful of Groove dolls this year? Ugh I know it’s frustrating and sad to continually see collaboration dolls with very few original dolls. In 2015 we’ve only seen 3 original Pullips out of 18!!! Yikes, did I count that correctly?!? If that isn’t alarming I don’t what is. Collab dolls may be the money marker from Groove right now but at the same time they must remember what made Pullip special which was the creativity and uniqueness that each doll displayed. I wish collab dolls came out every so often too! It truly did make them special and highly sought after. Also I miss the yearly doll carnival which was always an exciting event for Pullip fans. 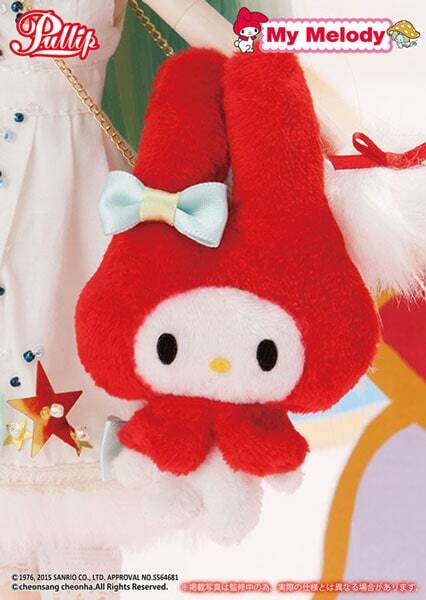 My Melody is one of my favorite Sanrio characters but sadly I am not a fan of this release. I could have possibly dealt with giant lips but paired with the spiked eyelashes and curled eyeliner there is just too much going on. A little editing on both her face-up and outfit would have gone a long way in improving her appearance. Disappointing. 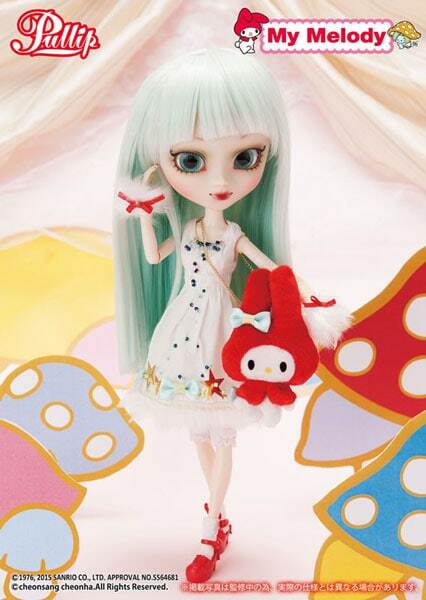 Thanks for sharing your honest opinion on Pullip My Melody x HEN-NAKO. I can understand where you’re coming from. I felt that way with some past releases. Where Groove Inc or the designer of the doll added too much fluff, less is more. I personally really like this new doll even though I’m not a My Melody fan. She’s a very bold and eccentric release which I think is always good, especially looking at this year’s not so exiting releases (for those who didn’t care about the sailor moon series). I really love her shading eyelids, anyway her best feature is probably her hair color, to die for! Is the artist behind her face up the same who created the stunning pullip Kuhn? 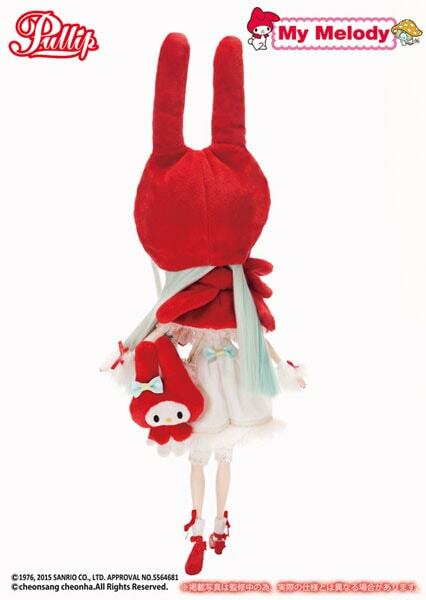 Yes, you are correct the same person who designed this doll also designed the stunning Pullip Kuhn. My favorite feature on this doll is the eyelids too, they are very unique, I’m loving the two toned look. It’s a nice change up in between the Sailor Moon releases. For the eyes of the first version, I maybe know the answer… The eyechips may came from a brand which sell items for customize dolls. I’ve got similar one on a Make It own kit. Your eyechips do look like the ones used on the prototype doll, that’s so cool. Yeah the outfit is a bit underwhelming. I wish it was a little more girly or something that makes me say wow. Thanks for sharing your image and for leaving a comment! Is it just me or does she have blue eyes in that original post and in the released version, her eyes are green? 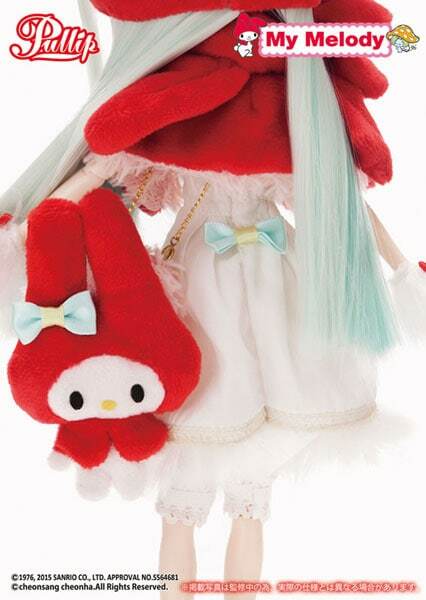 This doll looks quite lovely as does the 2008 version but that big price point (especially after converting to my currency) makes me hesitate quite a lot but is not surprising considering it’s Sanrio and anything with that brand does seem to attract a higher price point. I do love this doll and if it wasn’t for the price, I would consider getting her but I think I’ll pass on this one sadly. Plus who knows, there may be an even better doll to be released in the future. And as I only have one slot left for the Pullip collection, I’m being a bit more careful about my selections. Oh yeah your right, the prototype had vibrate blue eye. I think I prefer those eyechips to this look. The prices for the 2016 Pullip dolls, so far, have me a little worried. If they continue to collaborate with other brands and artists, as you stated, it’s going to “attract a higher price point” and this in turn will have fans just like you being more selective in the Pullips they purchase each month. I believe the brands and artists should be compensated for their contribution but at the same time Groove should try to be more aware of the price point. They don’t want to price themselves out of the doll market. We’ll just keep an eye out on how the prices for 2016 unfolds.